Smeddon, H., Iwaniec, D. & Stewart, M.C. (In Press). Incidence of Childhood Trauma in Mothers Taking Part in a Study of Parenting their own Children. Child Abuse Review. Percy, A. & Iwaniec, D. (2008). Antecedents of hazardous teenage drinking: analysis of the 1970 British Cohort Study. Working Paper 2008/6, Centre for Longitudinal Studies, Institute of Education, University of London. Iwaniec, D., Larkin, E., & McSherry, D. (2007). Emotionally Harmful Parenting. Child Care in Practice, 13 (3), pp.203-220. Percy, A. & Iwaniec, D. (2007). The validity of a latent class typology of adolescent drinking patterns. Irish Journal of Psychological Medicine, 24, 13-18. Stewart, M.C., Iwaniec, D., Sneddon, H., Dunne, L., Sloan, S., Gildea, A., Allen, S.J. and McErlean, L. (2007). The Growth, Learning and Development Study: Summary of Research, Findings and Recommendations. Child Care in Practice, 13 (3), 271-280. Iwaniec, D., Larkin, E., & Higgins, S. (2006). Risk and resilience in cases of emotional abuse. Child and Family Social Work, 11 (1), 73-82. Sloan, S., Sneddon, H., Stewart, M.C. & Iwaniec, D. (2006) Breast is best: Reasons why mothers decide to breastfeed or bottlefeed their babies and factors influencing the duration of breastfeeding. 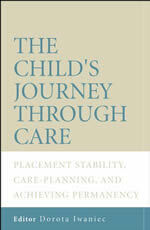 Child Care in Practice, 12 (3), 283-297. Iwaniec, D. (2005). In the Corner. Niebieska Linia, 4/39/2005, Institute of Health Psychology, Warsaw, pp.6-9. Larkin, E., Iwaniec, D., & Higgins, S. (2005) Emotional abuse: A case study approach to exploring vulnerability and resilience. Representing Children, 18 (1), 43-54. McSherry, D., Larkin, E., & Iwaniec, D. (2005). Care Proceedings: Exploring the Relationship Between Case Duration and Achieving Permanency for the Child. British Journal of Social Work, 35, 1-19, doi:10.1093/bjsw/bch362. Larkin, E., McSherry, D., & Iwaniec, D. (2005) Room for improvement? Views of key professionals involved in Care Order proceedings. Child and Family Law Quarterly, 17 (2), 231-245. Iwaniec, D., Donaldson, T., Allweis, M. (2004) The plight of neglected children – social work and judicial decision-making, and management of neglect cases. Child and Family Law Quarterly, 16 (4), pp. 423-436. Iwaniec, D. (2003). ‘Identifying and dealing with emotional abuse and neglect’. Child Care in Practice, 9 (1), 49-61. Iwaniec, D., Finzi, R., Cohen, O., Sapir, Y. & Weizman, A. (2003). The drug-user husband and his wife: attachment styles, family cohesion and adaptability. Substance Use and Misuse, 38 (2), pp.271-292. Iwaniec, D., Sneddon, H. & Allen, S. (2003). The outcomes of a longitudinal study of non-organic failure-to-thrive. Child Abuse Review, 12, pp.216-226. Gibson, M. & Iwaniec, D. (2003). An empirical study into the psychosocial reactions of staff working as helpers to those affected in the aftermath of two traumatic incidents. The findings from the Kegworth Air Crash and the Shankill Road bombing incidents – The implications for policy and practice in relation to training for those who have to cope with trauma in their workplace. The British Journal of Social Work, 33, pp.851-870. Iwaniec, D. (2002) ‘Pomoc dziecion Krzywdzonym emocjonalnie i zaniedleywanum oraz krzywdzacym opiekunon’. Chowanna, Slask University Press. Tom 1 (18). ISSN 0137/706X. Iwaniec, D. & Sneddon, H. (2002). The quality of parenting of individuals who had failed-to-thrive as children. The British Journal of Social Work, 32 (3), pp.283-298. Iwaniec, D. (2001). The Long Term Follow-up of Children who Failed to Thrive: Messages for Professionals representing Children. Representing Children, 13 (1), pp. 48-60. Iwaniec, D. & Sneddon, H. (2001). Attachment Style in Adults who Failed to Thrive as Children: Outcomes of a 20 year follow up study of factors influencing maintenance or change in attachment style. British Journal of Social Work, 31, pp.179-195. Iwaniec, D. (1999). Lessons from 20-year Follow-up Study on Children who Fail-to-Thrive. Child Care in Practice, 5 (2), pp. 128-139. Iwaniec, D. & Herbert, M. (1999). Multi-dimensional Approach to Helping Families who Emotionally Abuse their Children. Children & Society, 13, pp.365-379. Iwaniec, D. & McCrystal, P. (1999). The Centre for Child Care Research at the Queen’s University of Belfast. Research on Social Work Practice, 9 (2), pp. 248-260. Iwaniec, D. (1997). Evaluating Parent Training for Emotionally-Abusive and Neglectful Parents; Comparing Individual versus Individual and Group Intervention. Research on Social Work Practice, 7 (3), pp. 329-349. Iwaniec, D. (1997). An Overview of Emotional Maltreatment and Failure-to-Thrive. Child Abuse Review, 6, pp. 370-388. Iwaniec, D. (1997). Meeting Children’s Needs, Adequate and Inadequate Parenting Style. Child Care in Practice, 3 (3), pp. 49-57. Iwaniec, D. (1994). Neglect and Emotional Abuse in Children who Fail to-Thrive. Journal of Multi-Disciplinary Child Care Practice in Northern Ireland, 1 (2), pp. 15-29. Iwaniec, D. (1991). Treatment of children who fail to grow in the light of the new Children Act. Association for Child Psychology & Psychiatry Newsletter, 13 (3), pp. 21-27. Iwaniec, D., Herbert, M., & McNeish, A. S. (1985). Social work with failure-to-thrive children and their families Part II: Behavioural Social Work Intervention. British Journal of Social Work, 15 (4), pp. 375-389. Iwaniec, D. & Herbert, M. (1982). 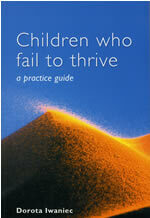 The assessment and treatment of children who fail to thrive. Social Work Today (Research edn), 13, pp. 8-12. Iwaniec, D. (1981). Working with families. Adoption & Fostering, 105 (31), pp. 37-42. Iwaniec, D. & Herbert, M. (1980). Behavioural psychotherapy in natural home settings: An empirical study applied to conduct disordered and incontinent children. Behavioural Psychotherapy, 9, pp. 55-76. Iwaniec, D. & Herbert, M. (1980). Behavioural casework and failure to thrive. Australian Journal of Child & Family Welfare, 5 (1), pp. 29-31. Iwaniec, D. & Herbert, M. (1979). Managing children’s behaviour problems. Social Work Today, 10 (33), pp. 12-14. Iwaniec, D. (1978). Behaviour modification with problem children in their own homes. Journal of Association for Behaviour Modification with Children, 2 (3), pp. 2-7. Iwaniec, D. & Herbert, M. (1977). Children who are hard to love. New Society, 4, pp. 111-112. Courtney, M. & Iwaniec, D. (Eds) (due March 2009). Residential Care of Children: Comparative Perspectives. New York: Oxford University Press. Iwaniec, D. (2007). Competence in working with families. In K. O’Hagan (Ed.) Competence in Social Work Practice (2nd Edition). London: Jessica Kingsley. Iwaniec, D. & Sneddon, H. (2004) Failure to thrive. In L. Rapp-Paglicci, C. Dulmus & J. Wodarski (eds) Handbook of Preventive Interventions for Children and Adolescents (pp. 149-178). New Jersey: John Wiley & Sons. ISBN: 0-471-27433-X. Iwaniec, D. (2003). Working with families who neglect their children. In: M. Bell & K. Wilson (Eds.). The Practitioner’s Guide to Working with Families. London: Palgrave Macmillan. ISBN 0-333-92264-6. Iwaniec, D., Sneddon, H. & Monteith, M. (2003). Definition and manifestation of emotional abuse. In: D. Iwaniec & J. Szmagalski (Eds.). Emotional Maltreatment and Failure to Thrive: Identification, Assessment and Treatment – United Kingdom and Polish Experiences. Warsaw: Warsaw University Press. Iwaniec, D. & Sneddon, H. (2003). Intervention with cases of emotional abuse and non-organic failure-to-thrive. In: D. Iwaniec & J. Szmagalski (Eds.). Emotional Maltreatment and Failure to Thrive: Identification, Assessment and Treatment – United Kingdom and Polish Experiences. Warsaw: Warsaw University Press. Iwaniec, D. & Sneddon, H. (2003). The effectiveness of behavioural and social casework in cases of non-organic failure-to-thrive: a 20 year study. In: D. Iwaniec & J. Szmagalski (Eds.). Emotional Maltreatment and Failure to Thrive: Identification, Assessment and Treatment – United Kingdom and Polish Experiences. Warsaw: Warsaw University Press. Sneddon, H. & Iwaniec, D. (2003). Definition, classification and manifestation of failure-to-thrive. In: D. Iwaniec & J. Szmagalski (Eds.). Emotional Maltreatment and Failure to Thrive: Identification, Assessment and Treatment – United Kingdom and Polish Experiences. Warsaw: Warsaw University Press. Sneddon, H. & Iwaniec, D. (2003). Assessment and diagnosis of failure-to-thrive. In: D. Iwaniec & J. Szmagalski (Eds.). Emotional Maltreatment and Failure to Thrive: Identification, Assessment and Treatment – United Kingdom and Polish Experiences. Warsaw: Warsaw University Press. Iwaniec, D. (2003). A framework for assessing failure-to-thrive. In: M.C. Calder & S. Hackett (Eds). Assessment in Child Care – Using and developing frameworks for practice. UK: Russell House Publishing. ISBN 1-903855-14-4. Iwaniec, D., Herbert, M., & Sluckin, A. (2002). Helping emotionally abused and neglected children and abusive carers. In: K. Browne, H. Hanks, P. Stratton & C. Hamilton (Eds.). Early Prediction and Prevention of Child Abuse: A Handbook. John Wiley & Sons, Ltd. (pp.249-265). Iwaniec, D. (2000). From Childhood to Adulthood: The Outcomes of a 20-year Follow-up of Children who Failed to Thrive. In: D. Iwaniec & M. Hill (Eds.). Child Welfare Policy and Practice: Current Issues in Child Care Research. (pp. 203-223). London: Jessica Kingsley. Iwaniec, D. & Hill, M. (2000). Issues emerging from child care research: Post-implementation of the Children Act 1989. Child Welfare Policy and Practice: Current Issues in Child Care Research. (pp. 9-21). London: Jessica Kingsley. Hill, M. & Iwaniec, D. (2000). Law, policy and research in child and family social work. 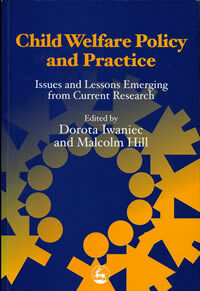 Child Welfare Policy and Practice: Current Issues in Child Care Research. (pp. 249-264). London: Jessica Kingsley. Iwaniec, D. (1999). Child Abuse – Theory and Research. In: D. Messer & F. Jones (Eds.) Psychology for Social Carers. London: Jessica Kingsley Publishers. Iwaniec, D. (1999). Child Abuse – Parenting, Identification and Treatment. In: D. Messer & F. Jones (Eds.) Psychology for Social Carers. London: Jessica Kingsley Publishers. Iwaniec, D. (1998). Treating Children Who Fail-to-Thrive. In: K. Cigno & D. Bourn (Eds.). Cognitive-Behavioural Social Work in Practice. Aldershot: Ashgate Publishing Ltd. ISBN 1 85742 3747. Iwaniec, D. (1998). Research and Development Strategy in the National Health Service and Personal Social Services in the United Kingdom. In: D. Iwaniec & J. Pinkerton (Eds.). Making Research Work - Promoting Child Care Policy and Practice. Chichester: John Wiley & Son. ISBN 0-471-97952-X. Iwaniec, D. (1998). Promoting Research through the Establishment of Research Centres. In: D. Iwaniec & J. Pinkerton (Eds.). Making Research Work - Promoting Child Care Policy and Practice. Chichester: John Wiley & Son. ISBN 0-471-97952-X. Iwaniec, D. (1996). Competence in Working with Families. In: K. O’Hagan (Ed.). Competence in Social Work Practice: A Practice Guide for Professionals. London: Jessica Kingsley Publishers. Iwaniec, D. (1993). Supervision and Support of Workers Involved in Child Protection Cases. In: H. Owen & J. Pritchard (Eds.). Good Practice in Child Protection. (pp.202-215). London and Bristol, Pennsylvania: Jessica Kingsley Publishers. Iwaniec, D., Herbert, M., & Sluckin, A. (1988). Helping emotionally abused children who fail-to-thrive. In: K. Browne, C. Davies & P. Stratton (Eds.). Early Prediction and Prevention of Child Abuse. Chichester: John Wiley & Son. Iwaniec, D. (2004). Emotional Abuse and Neglect. Family Law Conference, Newcastle. Conference Proceedings. Iwaniec, D. & McSherry, D. (2001). Inter-agency and multi-disciplinary approach to foster care: a global consideration. An overview of European foster care provision. Book of Proceedings, IFCO European Foster Care Conference, Ireland. Iwaniec, D. (1992). Parent and State. International Conference in Child Abuse and Neglect. Prague: Conference Proceedings publication. Iwaniec, D. (1984). Assessment and treatment of families. Proceedings of Symposium on Failure to Thrive, Ontario Centre for Prevention of Child Abuse, pp.86-105. McSherry, D., Iwaniec, D., & Larkin, E. (2004). Counting the Costs: The Children (Northern Ireland) Order (1995), Social Work and the Courts. Belfast: Institute of Child Care Research, Queen’s University. Iwaniec, D. & McSherry, D. (2002). Understanding Child Neglect: Contemporary Issues and Dilemmas. Occasional Paper, No. 2. Belfast: Centre for Child Care Research. ISBN: 1 900 725 16 9. Sneddon, H. & Iwaniec, D. (2002). Characteristics of Failure-to-Thrive Cases. Occasional Paper, No. 3. Belfast: Centre for Child Care Research. ISBN: 1 900 725 17 7. Iwaniec, D. & Sneddon, H. (2001). Failure to Thrive Children and their Families: Outcomes of a 20 Year Longitudinal Study. Centre for Child Care Research: Belfast. ISBN 1-900-725-13-4. Percy, A., Iwaniec, D., Carr-Hill, R., Jamison, J. & Dixon, P. (1998). Development of Needs Indicators for Family and Child Care Programme for Care in Northern Ireland: Scoping Study Report. Report to DHSSPS (NI). Iwaniec, D., Monteith, M., & McCrystal, P. (1997). Children and Young People with Disabilities in Northern Ireland. Part I: An Overview of Needs and Services. A Summary. Belfast: Centre for Child Care Research.